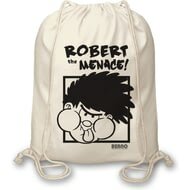 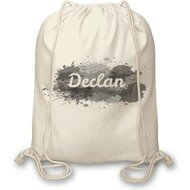 A very handy 'back pack' style of drawstring duffel made from 8oz natural cotton canvas and 40x45cm in size. 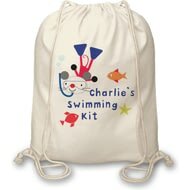 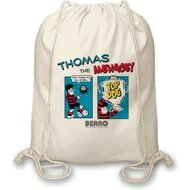 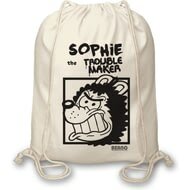 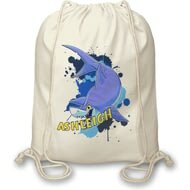 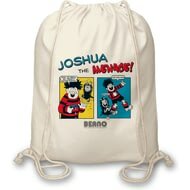 Personalise this funky shark drawstring back pack with any name up to 15 characters. 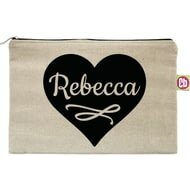 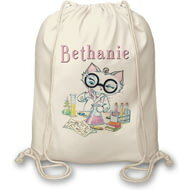 It is made from 8oz natural cotton canvas and 40x45cm in size. 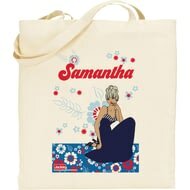 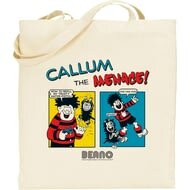 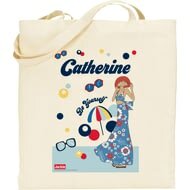 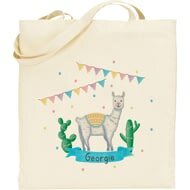 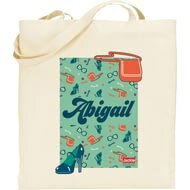 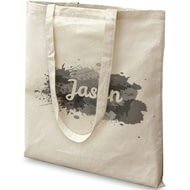 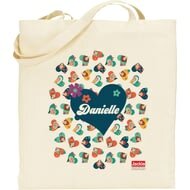 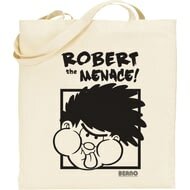 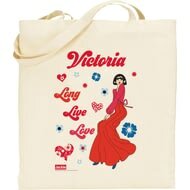 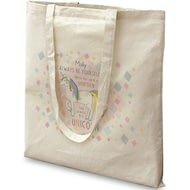 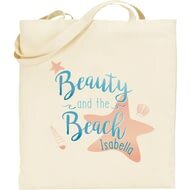 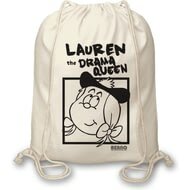 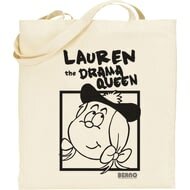 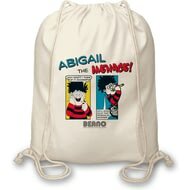 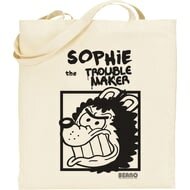 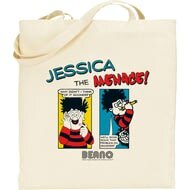 This colourful tote bag can be personalised with any name up to 15 characters. 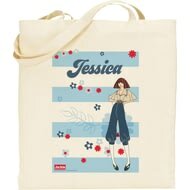 It is made of 100% Natural 170 gsm cotton, unbleached and undyed. 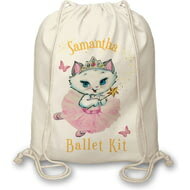 Personalise this natural cotton canvas drawstring bag above and below our adorable Nina Kitten dressed as a fairy, with up to 25 characters per line. 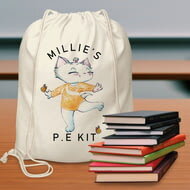 Personalise this natural cotton canvas drawstring bag above and below our adorable Nina Kitten dressed as a gymnast, with up to 25 characters per line. 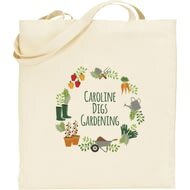 This tote bag could be given to the recipient to carry their shopping or for storing all their gardening tools.